What is a “Plus” and “Minus”? Is All Card Advantage Good? When Does Card Advantage Matter? Plusses and minuses are ways to keep track of what a card gets you, in terms of card advantage. 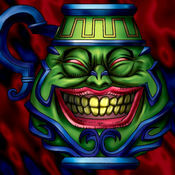 The most simple example of a plus is Pot of Greed. What does Pot of Greed do? Pot of Greed gives you two cards from one, or a “plus one.” Card advantage can be used to explain why Pot of Greed is such a good card. It can also be used to explain why Hand Destruction is typically a bad card. Hand Destruction similarly draws two cards like Pot of Greed, but also makes you discard two cards. So far, you’ve lost three cards (the cards you discarded, and Hand Destruction) and gained two. That’s a “minus one,” meaning that you lost advantage. Hand Destruction may let you see more cards in your deck, but you lose advantage doing so. The Melody of Awakening Dragon lets you search two cards in exchange for one in your hand, and the card itself. This is a “plus zero,” or “going even.” Lots of cards go even, and generally can be judged based on what they do, not on the advantage gained. It can be easy to get trapped in the mindset that all plusses are good plusses. 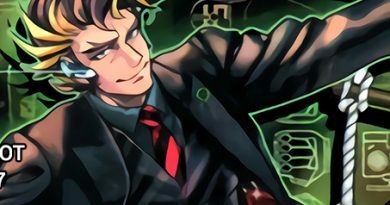 Let’s take a look at examples that are plusses, but aren’t necessarily good cards. Thunder Dragon allows you to discard itself to search your deck for up to two copies of itself. This is a plus one – you gained two cards in exchange for one. 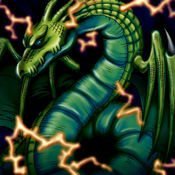 However, under most circumstances, having Thunder Dragon in your hand is not a valuable asset. This brings me to the main point I’d like to make: cards that are not usable in your hand should not be considered part of card advantage. There are two main examples of cards that should not be considered in terms of cards advantage in the hand. These are extra Normal Summons, and unusable removal. One deck that has a lot of Normal Summons is ABC. Between the ABC pieces, Silver Gadget, and Gold Gadget, the deck plays around 10 Normal Summons on the low end. This is circumvented by being discard fodder for ABC-Dragon Buster. This density of Normal Summons can still be a problem in other combo decks like Ritual Beast. This is something to consider when looking for what “plus” cards you add to your deck. If you play cards that draw cards, you may be more liable to drawing useless Normal Summons; consider playing cards that have multiple functions instead, like Called by the Grave. The last example of a useless plus are cards that cannot be used in a given turn, and won’t be useful on the opponent’s turn. 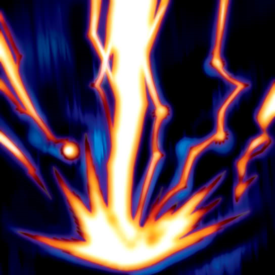 A common card like this is Raigeki. Raigeki essentially opens up the opponent’s board and makes way for your own plays. But, if you draw it turn one, it becomes a blank card! Even sometimes, it can be negated and is less efficient than a hand trap. This is all assuming that a format is combo-based. For the end of the XYZ-era and the era we are currently in, top tier decks have the capabilities in resource combos and OTKs. The aformentioned cards are only useless in your hand because they aren’t proactive in stopping the combo-centric decks of today. If the meta slows down later, this may change. It may seem odd to say that card advantage sometimes does not matter. This has to do with the other resources available to a duelist: tempo and life points. 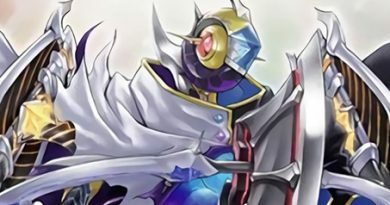 Tempo has a lot to do with card advantage, so I’d like to discuss the relationship between life points and card advantage instead. Simply put, it doesn’t matter how many cards you have in your hand if you lose next turn. 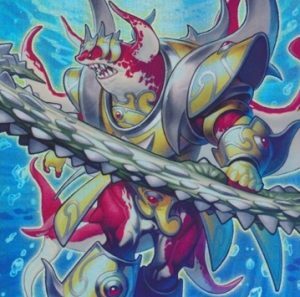 Against a deck like Mermails, cards that gain you more advantage may not necessarily be useful if those cards will not protect you against getting OTK’d. On a broader perspective, consider this relationship when deciding to make a play that can establish board, or to make a play that gives you card advantage. Before making that play, consider whether the static plus will actually be useful, or just another card in a static system. Card advantage is a useful system to understand which cards can increase your options. However, card advantage should only be used as a general tool, not as an end-all rule that dictates every play. 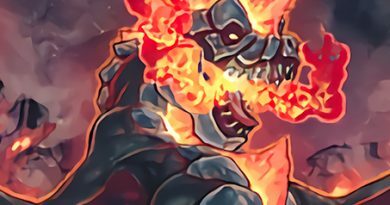 Keep in mind what gaining card advantage would do in the current situation, and whether it would be a better play over gaining tempo or pressuring for lethal.